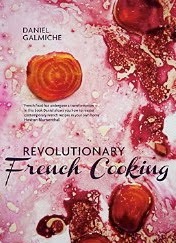 It’s the sixth day of Christmas and my review today is for Revolutionary French Cooking by Daniel Galmiche. This is his second French cookbook, you can see my review for French Brasserie Cookbook: The Heart of French Home Cooking and a recipe here. ingredients and treating them with care and respect to create a range of delicious dishes. Pot-roasted cider and paprika chicken – I might substitute Piment d’Espelette (my new kitchen friend after our trip to the Basque region). Butternut Squash and saffron risotto – I’ve never thought of mashing the squash in a risotto before. Jerusalem artichoke velouté - we have loads that are ready to harvest. Pumpkin and goats cheese lasagne - using thin slices of pumpkin for the lasagne sheets. 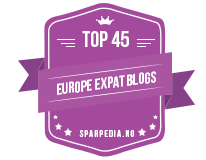 Red onion tarte tatin – I love cooked onions. Chocolate cookies – what can I say by yum, yum! This is probably not a book for traditional French food lovers, but one to try if you like the idea of a more modern look at French cuisine. Both of Daniel’s books are available in hardback and ebook format and links to Amazon are below. At the time of writing this the kindle version of Revolutionary French Cooking is only £1.02.